Calling All Creative High Schoolers! Do you have an artistic streak? A passion for writing? A love of all things social media? Come find out what a career in a creative field is like! If you're a high schooler in the Columbia, MO area, come hang with our staff of creative ballers by applying for a spot in SPACE Lab: Shadowing Program in Artistic Careers and Entrepreneurship. You'll get to experience what a real-life creative office is like, tackle real-world challenges in the career path of your choice, and have a chance to ask real professionals questions about your future options. Interested? Learn more and apply below to reserve your spot. SPACE Lab is a chance for high school students to learn about life in a creative career—and explore the path to get you there. Visit HDco and get the opportunity to experience life at a creative agency and try your hand at a real-life creative challenge you'd face in your future career path. Are you a high schooler into drawing, painting, creative writing or tinkering around with code? Are you fascinated by colors and fonts? Your talents and interests don't have to be just hobbies—they can be a career! SPACE Lab gives you a glimpse into what a creative career really looks like. It's a great chance to explore future opportunities! Which Mission Will You Choose? Artistically inclined with a bent for technology? Graphic design could be for you! Experience a day in the life of a graphic designer and tackle real design challenges head-on when you choose this path. Love everything Instagram, Twitter, or Facebook? Choose the social media mission! Learn the ins and outs of a totally different ball game: how businesses leverage social media networks. Join us! Are you right-brained and left-brained all at the same time? Consider the web design mission. You'll combine psychology, design, marketing, and analytical thinking to learn how websites are made. Do you have a penchant for long-form writing? Check out the content marketing mission. Get an up-close view of how digital content like blog posts, video, and email campaigns work together to boost sales and grow businesses. Love snappy taglines? Adore TV and radio scripts? Have dreams of combining visual design and writing to create ads that stick? Sounds like copywriting could be the perfect mission for you! Check out what you'll be doing below. Each mission comes with a special challenge. You'll be put to work doing real work that you'd encounter in the professional world—exciting! Get prepared for your SPACE Lab day and special mission with the slideshow below. When you sign up to blast off on a SPACE Lab adventure, you can expect a few things—and we'll expect a few things from you. Be prepared! Clear your Friday afternoon. 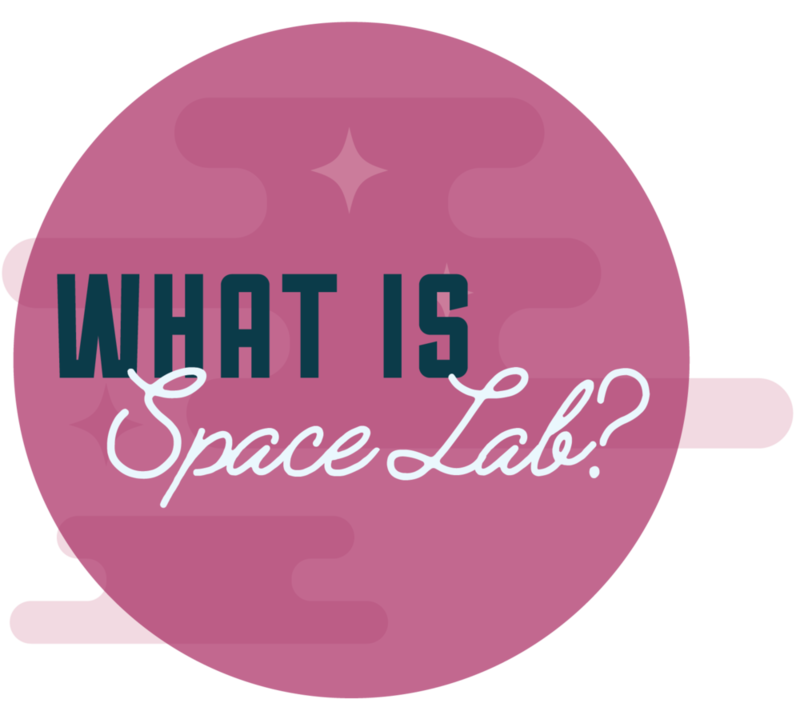 SPACE Lab is only offered on Fridays from 1-4pm. Make sure you schedule a day you have available—like a half-day or full-day off of school. Bring your own laptop. If you don't own a laptop, let us know in advance to find a solution. Be prepared to work! This is a real workplace, and you'll get the full experience—and that means tackling real tasks you might face in an advertising career. Be ready to look and act like a professional. Use your SPACE Lab day as a chance to practice your professional skills—that includes wearing professional attire and practicing professional conduct, especially if we have clients in the studio! Ask us questions. You've got a rare chance to get insight on your future from a room full of professionals who are all ready to help. Don't be shy! Sign Up for Space Lab!